UPFA General Secretary Minister Mahinda Amaraweera had not consulted other UPFA constituent parties before handing over a letter on the party’s stance regarding the appointment of a UPFA MP for the post of Opposition Leader, to Speaker Karu Jayasuriya, Prof. G.L. Peiris said yesterday. Addressing a media briefing organised by the Joint Opposition in Colombo yesterday, he said that the UPFA General Secretary had acted in an arbitrary manner by forwarding an opinion to the Speaker without consulting the other parties of the UPFA. He said the Speaker should look into this matter and inquire whether Amaraweera has acted fairly and with responsibility. Peiris said that if Amaraweera had consulted other UPFA constituent partners, they may have differed with his opinion on the Opposition Leader’s post. 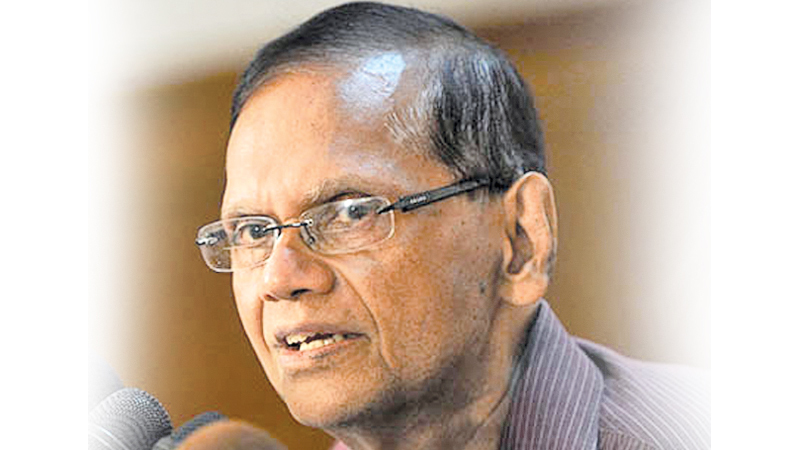 Peiris charged that Amaraweera, by not consulting other UPFA partners, was trying to deny a JO member from becoming the Leader of the Opposition. On July 30, a letter signed by eight UPFA Parliamentarians requesting that the post of Leader of the Opposition in Parliament to be given to the UPFA, was submitted by MP Dinesh Gunawardena to the Speaker. The Speaker, in return, referred the matter to the UPFA, since all those who signed the request were UPFA members. The Leader of the Opposition, according to the Constitution, should be given to the party with the highest number of seats in the Opposition and not to a party which is a coalition partner in the government.